I have been in search of a good moisturizer for face specifically for a long time…something i can use before applying makeup and on a daily basis. Did try many of them but was never satisfied…would either start sweating or my face would look patchy after a few minutes of applying makeup.Finally after long research on moisturizers, i have found something I am happy with. So, thought of sharing with you all. 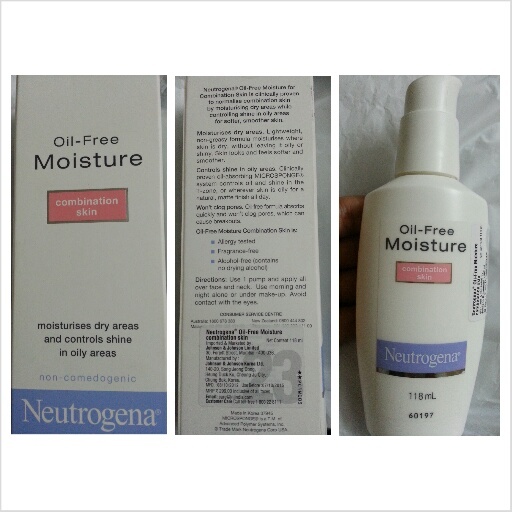 I discovered Neutrogena’s Oil Free Moisturizer. I loved it! I have a T-zone and it starts shining after a few hours of applying makeup but this moisturizer definitely reduced the oil secretion and shining of my T-zone area. As the name suggests, its oil free moisturizer. So, its not greecy at all…blends well in the skin. It doesn’t have any fragrance at all…so if you are someone who likes to use nice smelling moisturizer, you may not like this one. But, my advice would be to try it anyway as it acts like a good binding agent for the makeup and keeps your skin nourished. So, go ahead and definitely give this product a try…its worth it.